The KD-Con™ Ethernet fibre Mux is a rack mountable unit that fit the KD-Con™ subsea pod and topside rack. The LINK Ethernet card provides up to 4 channels of Gb Ethernet, physical layer (L1), with no package management or switch functionality. This allows the system to be used with multi beam sonars, which stream data directly on the physical layer. However, to expand number of ports and to simplify interfacing to other survey equipment, the local Gb switch provide the “plug and play” functionality. 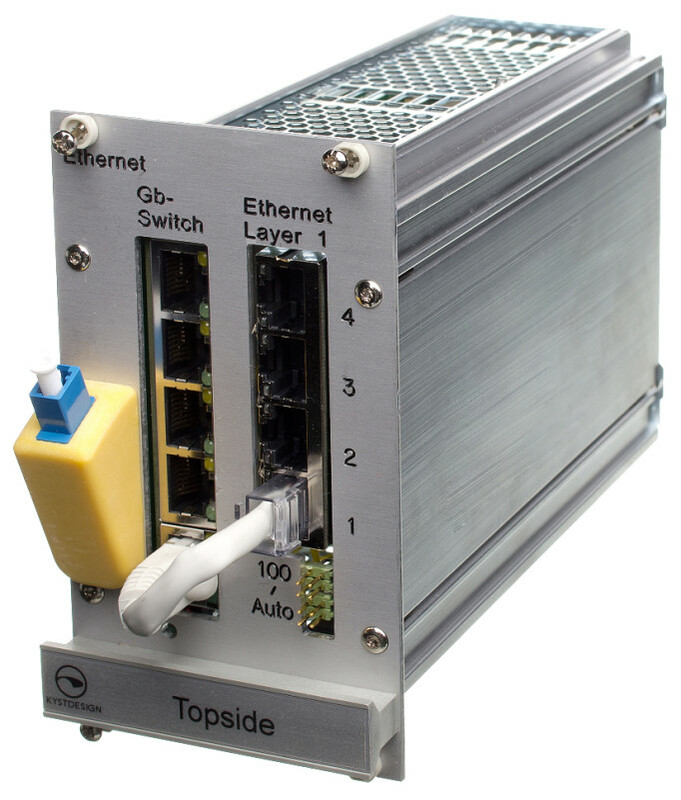 Backplane design together with all fibre units terminated to a single front plate LC fibre connector, enables easy system swap.Units comes with complete fibre diagnostics when used together with the KD-Con™ Video Multiplexer.